Police reports are official documents that describe claims that the police officers handle. A police report will open an investigation into the claim and allow police to begin taking action. Police reports are generally categorized as either emergency or non-emergency. A crime report allows the police to get a good idea of what happens when a crime takes place without actually seeing it. Crime reports are filed for criminal offenses such as theft, assault and vandalism. The report consists of five separate parts, beginning with a heading that quickly points out what the report is about. The report also contains an introduction, which outlines the subject of the report, and a body that details exactly what is being reported. The crime report is concluded with a statement summarizing points made in the body of the report, and a recommendation that outlines what the officer feels should be done about the claim. An administrative police report documents violations and crimes of personnel members, detailing information that will allow the police to take administrative action in response to the incident. The administrative report differs from a crime report in that it allows for the report of police officers and personnel who may be guilty of misconduct. The administrative report can result in one of five possible findings. If it is "unfounded," this means the allegation has either been disproved or has no factual basis. If the report is "not sustained," this means the allegation cannot be proved or disproved, and thus no action is taken. In the case that the allegation is "exonerated," the allegation is determined to have occurred, but was found to be lawful. A "sustained allegation" means that it has been found to be in violation of the department's policies. Lastly, if the allegation is determined a "policy failure," the officers actions are found to be in accordance with police policy and laws, but the policy is put under review. A traffic violation is reported through a police traffic report or citation. Infractions that may warrant a traffic report are speeding, failure to yield and expired vehicle registration. 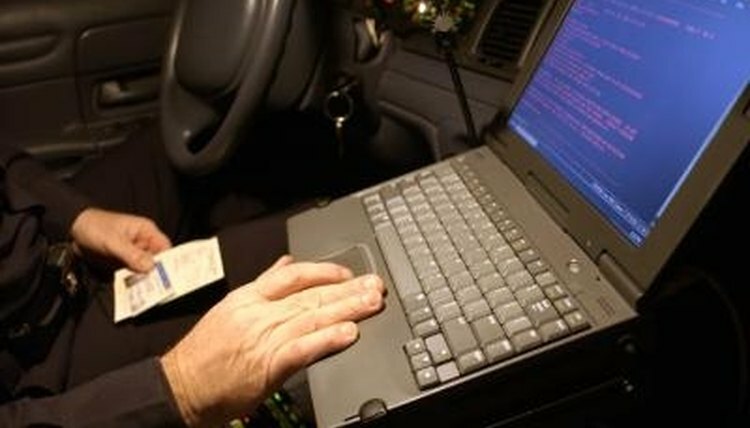 A police traffic report will include information such as the driver's name, the infraction, vehicle make and model, license plate number and vehicle identification number. WilliamHanz. "Police Report Types." , https://legalbeagle.com/5793658-police-report-types.html. Accessed 23 April 2019.